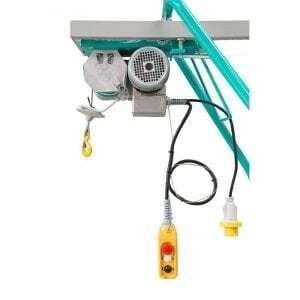 Our Gantry hoist is as dependable as it is robust. The gearmotor is built with helical-toothed steel gears in oil bath. Thanks to the gantry hoist’s sturdy structure and powerful motor, it is particularly suitable for heavy duty use on site. 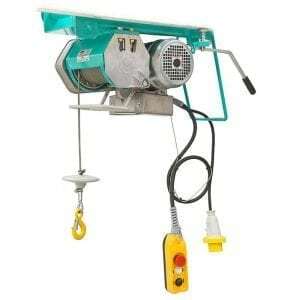 Every hoist comes with a steel rope cable drum that is installed transverse to the mounting bracket. This promotes smooth winding and eliminates dangerous accumulation of the rope on one side only, otherwise caused by the flexing of the support structures. The hoists are all fitted with an upper limit safety device with positive drive by thrusting spring that stops the upward movement of the load in the highest point.